You are considering or already made the switch to washable cloth pads. But what about choosing a soap to clean your cloth pads? It should be effective, but it should also not be harmful for your body and our environment, right?! Here is an inspiration, the Cloth-Pad-Soap. 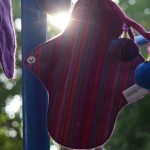 In this blog series “How to wash my cloth pad?”, in PART 1: washing routine for cloth pads we shared a step by step washing instruction and some extra tips, in PART 2: Choosing a Soap, we discussed using a soap that is safe for your body and the environment…and how important that choice really is. Now in PART 3: The Cloth-Pad-Soap we are introducing a soap made by our friends at MGEcoduties. 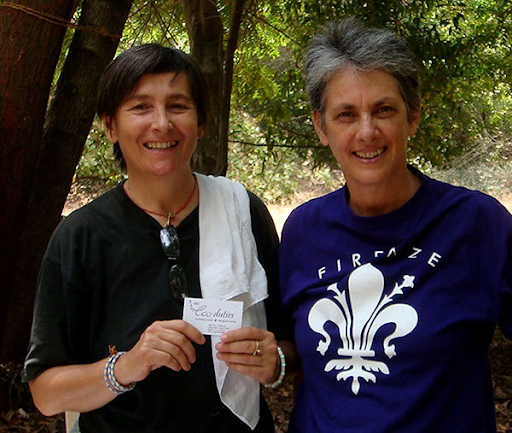 Also based in our hometown of Auroville, South India, MGEcoduties are inspired by the same values as Eco Femme: Care for our health and our environment. They offer their “truly clean cleaning products” worldwide. MGEcoduties Probiotics House manufacture soap bars, shampoo bars, shaving bars, deodorant liquid, tooth powder, laundry powder, laundry liquid, laundry softener, various household cleaners, as well as composting, house-building and water cleansing products. Additionally, most of their products can be sold without plastic packaging. For other products they inspire their customers to reuse and refill containers in their shop, instead of buying new plastic bottles, and to reduce plastic in the landfills and oceans. To learn more more visit their website and Facebook page. MGEcoduties developed a soap to specifically match the needs of cleaning washable cloth pads. We had offered a limited edition of their prototype during Diwali season 2018. After that we received product views and loads of requests! So we now have the Cloth-Pad-Soap as a new product in our online shop. (5) probiotics: provide a deeper cleaning, long lasting odor control, produce a pH balanced soap, probiotics also clean your drain! 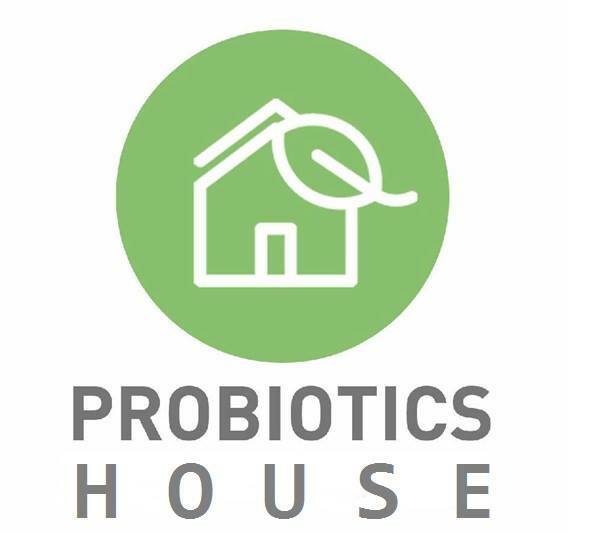 Why probiotics? – A concept, not a product. MGEcoduties’s true work is to save our waterways and the planet by providing a solution to our wastewater crisis: Introducing probiotics into the water can do the job of purification. Probiotics can greatly benefit wastewater treatment plants (WWTP) and septic systems, by improving water quality, bad odours and desludging. MGEcoduties regularly take part in international science conferences. One of the findings is, that the Yamuna river of India (and any other waterway in the world) can be cleaned if one third of the local population would put a certain amount of probiotics into the river every day. However, to get consumers to do this job does not happen easily. MGEcoduties’s solution is the concept of including probiotics as an ingredient in cleaning products that consumers anyway flush into our wastewater every day. Their research in Auroville has shown that the water quality in the septic systems has improved. 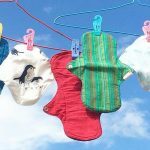 It’s a practice of our everyday life: We use sanitary pads to catch our menstrual blood and keep our clothes clean. We use reusable washable cloth pads to avoid waste and keep our environment clean. 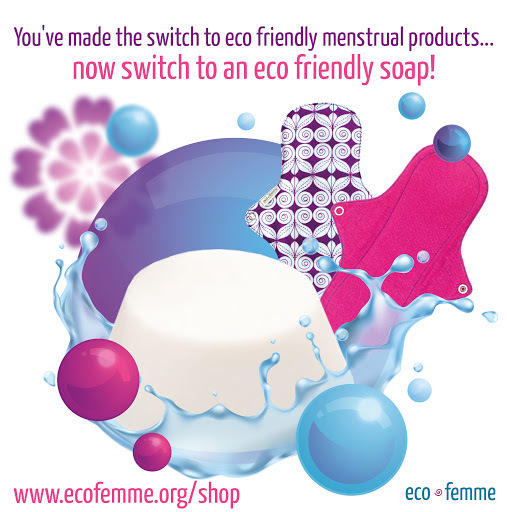 We can use eco-friendly soap to keep our cloth pads and the environment clean at the same time. Let’s take the conversation further and reflect on the choices of our everyday cleaning products, to keep our planet clean. Truly clean.